PHOENIX — An Arizona mother-daughter duo's dream came true as they danced and sang along to their favorite Garth Brooks songs at his sold-out concert in Glendale Saturday night. At one point a few years ago, Lara Bush-Pensy did not think she was going to make it out of heart surgery and would die never seeing Brooks in concert with her 15-year-old daughter Ariana, something they had always talked about doing. Bush-Pensy, of Fountain Hills, had an extreme case of tachycardia that went undetected and worsened over the years. She describes it as "the electrical system in the heart misfires and causes a rapid heart rate." According to the Mayo Clinic, tachycardia makes your heart beat faster than normal while it is at rest. "Most people’s resting heart rate is around 68 or so. Mine was about 180 by the time I had surgery," Bush-Pensy told 12 News. The almost 50-year-old mother says she was scared but listening to Brooks' music with her daughter helped get her through it. "When I was going through all the issues with my heart, I frequently listened to and sang, “'I’m Much Too Young To Feel This Damn Old!'" she said. "It made my daughter and me laugh when times were hard." 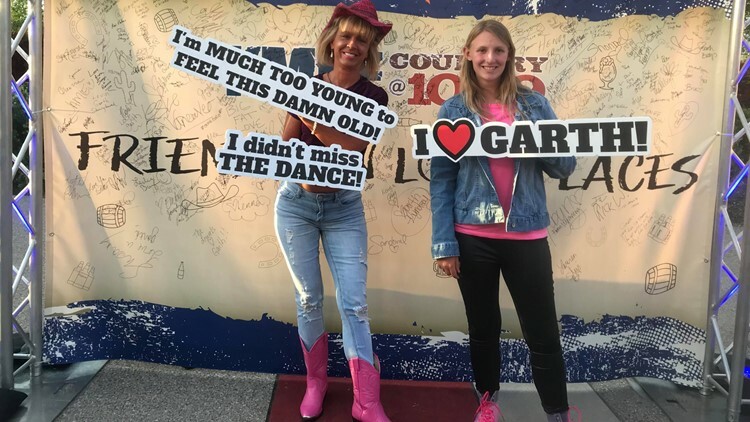 After her mom faced a severe case of tachycardia, Ariana Pensy knew the Glendale show was their chance to see Garth Brooks. And times did get hard. Bush-Pensy endured a surgery that she says lasted three times longer than normal. "I will never forget when I was being wheeled away for surgery, my mom, dad, and my daughter were standing there, looking so scared. I was very scared too... I smiled and gave them the thumbs up thinking, 'I hope I get to see them again,'" Bush-Pensy said. The surgery was successful and save for a few "minor tune-ups" earlier this year, Bush-Pensy says her heart is all good. Throughout those years, Bush-Pensy and Ariana talked about seeing Brooks live in concert almost like the light at the end of the tunnel. "I have pink cowgirl boots and I always said, 'I want to see Garth Brooks in concert before I die and I’m going to wear my pink cowgirl boots!'" Bush-Pensy said. When Ariana found out the country superstar was coming to Glendale, she knew they couldn't miss it. And so the countdown to the concert began. Bush-Pensy says she felt so blessed to be there Saturday night with her daughter. "We have been through a lot together and we couldn’t believe we were there doing what we talked about for so long," she said. "'Friends In Low Places', 'Much Too Young To Feel This Damn Old' — when he sang those, we were wild! When he sang 'The Dance', I cried." 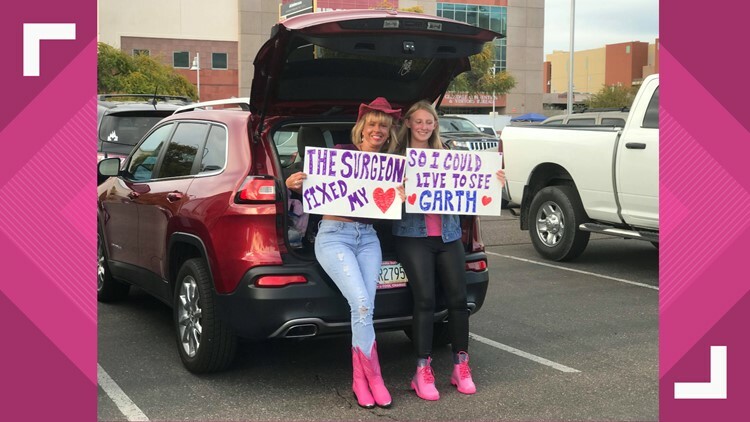 Bush-Pensy and Ariana made it to State Farm Stadium, pink cowboy boots and all, and held up signs that read: The surgeon fixed my heart, so I could live to see Garth. After successful heart surgery, Lara Bush-Pensy got to see Garth Brooks in concert with her daughter. Bush-Pensy says it was a dream come true. "Seeing Garth had my heart rate up but nothing like before that surgery," she said.